Heard all about Social Media, but don't know where to start? Not sure how good Social Media is for growing your business? Have set up your Social Media pages, but have no fans or traffic? 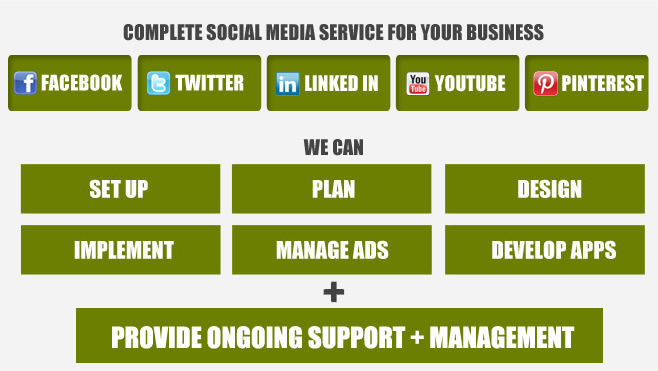 Need assistance in managing your Social Media presence? If you answered 'Yes' to any of the questions above, then we can help your business set up and grow online through a range of custom Social Media Marketing services. F-Commerce, Group Deals, Contest, YouTube Channel, Events & many more..
© 2005- 2018, Maverick Mav Pty Limited. All rights reserved.